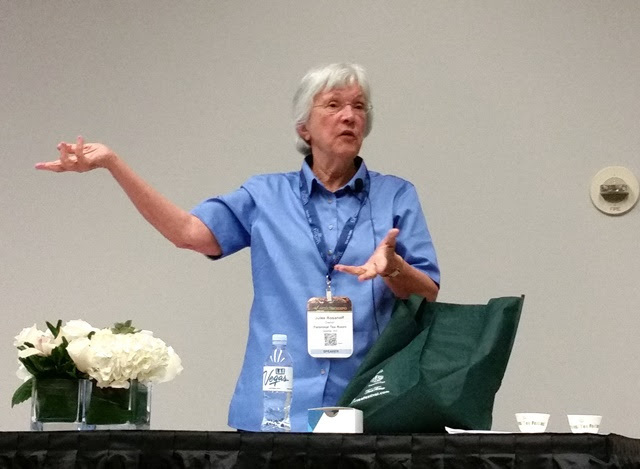 Day Three of the 2016 World Tea Expo began with a workshop and concluded with a final tour of the Exhibit Hall. 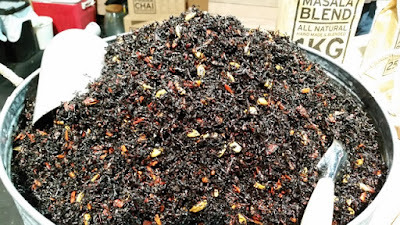 As a tea blogger, I attend the Northwest Tea Festival as a member of the general public and as a member of the tea festival committee, I have the opportunity to see how much time, effort, and dedication goes into making it come to life. Tea festivals are becoming more and more prevalent and that is great news! What current organizers have learned through (sometimes tough) experience and what potential new organizers should know is that having a solid plan and access to the right resources is key to ensuring that your tea festival will run smoothly to survive and flourish beyond the first year. 1) Why are you doing this? Reasons could be education, promoting tea and businesses, promoting a tea community, socializing with tea people, and presenting tea knowledge to as many people as possible. It is not a profitable venture, so the motivation should not be money. 2) Who are you doing this for? As an example, the Northwest Tea Festival is for the general tea drinkers in the NW. 3) How are you going to pay for this? Money may come from your tea business and sponsorship. Most money from admission fees, workshop and program fees, and vendor and sponsor support won't come in until after the event. Have cash flow for additional expenses (some of which will be unplanned) in the form of a reserve fund, credit line, loans, and self-sponsorship. 4) What is your legal structure? Meet the legal requirements within the city, state, and federal government. Consider creating a legal entity, profit or non-profit. Seek advice from an attorney or CPA. Have a bank account, employee ID numbers, bookkeeping services, and liability insurance. 5) Who is doing this? This can be yourself, a committee, or staff. With a committee, work is shared and there are more opportunities for brainstorming and community development. 6) Where and When? Consider the kind of space you will need. This may include space for vendors, presenters, workshops and tea tastings. Ideally, the space will be well-known, safe, and have parking and accessibility. Look into availability and predictability of event dates. When the dates change, the community becomes less supportive. Throughout the session, Julee provided examples from her own years of experience. The Northwest Tea Festival is a non-profit public event coordinated by a committee headed by Julee Rosanoff and made possible through the tireless efforts of volunteers. Nearing its 10th year, it takes place every first weekend in October and provides an opportunity for tea lovers to gather and socialize, interact directly with retailers, and to experience and learn more about their favorite beverage. The Northwest Tea Festival requires 9 months of planning which includes financial planning, merchandising, task distribution, vendor/sponsor/speaker/media outreach, graphic design and promotional materials, web development and social media networking, program confirmation and schedule finalization, space planning, speaker packets and vendor move-in packets, pre-registration, fire marshal certification, volunteer needs and recruiting, and arranging for resources and equipment (electric, phone, wifi, water towers, pipe & drape, and materials included with admission). 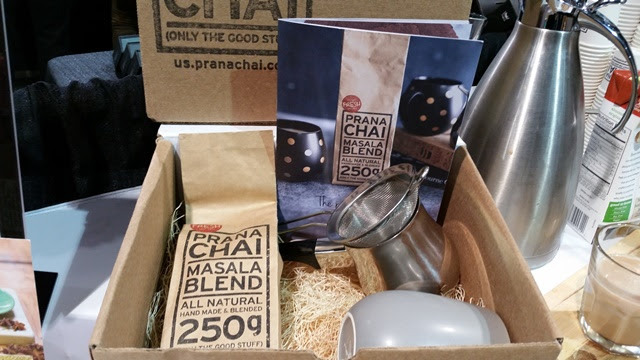 Prana Chai is based in Australia with retail distribution throughout North America. Their Masala Blend is pre-blended with honey which acts as a natural preservative and is packaged ready to brew. They also offer an Agave Blend for those who prefer a different natural sweetener. I was also drawn to the size and beautiful simplicity of the tools in their single-serve Starter Box. JusTea is based in Canada and distributes direct-trade and hand-crafted tea from farms in Kenya. I'm a bit of a fan of Kenyan teas, especially when I know how they're sourced. Kenyan purple leaf tea takes its name from the color of the leaves while they're growing and not the color in the cup. 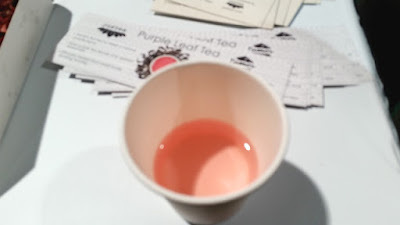 However, it turns out that purple tea will turn an attractive shade of pink with just a drop or two of lemon juice. Kanes is a tea wholesaler based near the Ocha no Sato Tea Museum in Shimada, Shizuoka, Japan. 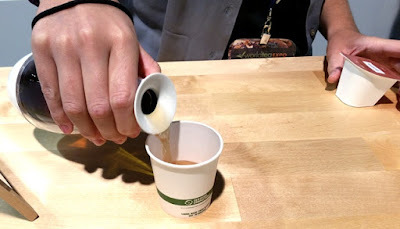 At the Expo, they introduced Sun Drop tea made with the Sun Rouge cultivar which turns pink with a drop or two of lemon juice. I spoke with Nepal Tea LLC founder Nishchal Banskota in the Expo's New Business Launchpad. He has taken over the reins of the business from his father and is making great strides toward sustainability with a focus on providing education opportunities and improved living conditions for his employees. Nepal Tea LLC also holds the distinction of producing Nepal's first certified organic teas. Young Mountain Tea is based in Eugene, Oregon and provides ecologically and socially sustainable tea from Assam, Darjeeling, Nilgiri and, perhaps most notably, the region of Kumaon which borders India and Nepal. I'm impressed with their mission statement and I'm eager to experience more tea from Kumaon. 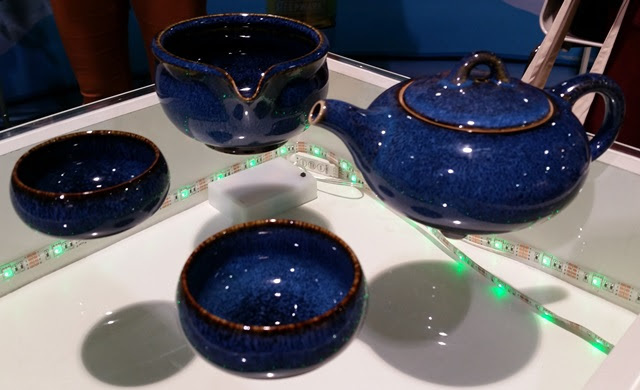 The Tea Spot will be releasing its first gongfu tea set later in the year. The depth of color and sheen are definitely appealing. Teforia's Infuser hit all the right marks for design, scale, and simplicity. It uses high quality loose leaf tea sourced from respected tea businesses, stored in a package that looks like a large version of, but has almost no relation to a pod. 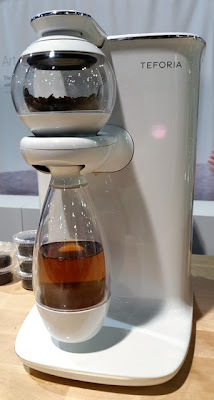 Open the package, pour the leaves into the infusion globe, and scan the top of the package over the top corner of the machine to set the recipe specific to the tea. It will brew in the globe, then dispense into the carafe below. Serving size is 1-2 (or more for those of us who like to have friends over for small-cup tastings). You can communicate with the machine through a smartphone app and create your own loose leaf tea recipes. Trends I noticed at World Tea Expo 2016 were sustainability and direct-trade/direct-sourcing, increased representation of Japanese teas beyond matcha, increased visibility of Chinese heicha (dark tea), increased representation of Nepali teas, citrus-reactive (pink) tea, and innovation ranging from how the tea is grown and processed to how the consumer can prepare it at home. Thanks to everyone who worked so hard to bring us together and keep everything operating smoothly! I look forward to seeing continued innovation and even more tea producing countries represented at the next World Tea Expo. Let's meet again in Las Vegas, June 12-15, 2017!